Why on Earth Do I Write a Blog? used under Creative Commons license. Today I opened Google Reader, my preferred method for managing most blog subscriptions. At the new year I pruned my subscriptions severely because I had such a backlog I knew I had oversubscribed. In theory, then, I have a more “manageable” subscription list. In the Spokane folder alone I see 88 unread posts. In the Biking folder it was something like 76 (started reading those first and don’t remember the number). Transportation has 93. Food has 57. And so on, and so on. I will—yet again—make liberal use of the “mark all as read” button so I can move on. Certainly I’m missing out on some wonderful content, new ideas, fresh inspiration, great recipes and what-have-you. But life is short and there will always be more. I imagine you, Dear Reader, in your fleece long johns and robe with your cup of hot coffee at a cluttered dining room table with unfinished taxes looming to your right (OK, I’m projecting a little here—just because that’s where I am at 10:30 a.m. on a Saturday morning it doesn’t mean that’s what you look like right now). Why would you read this blog, from among all the others you subscribe to or stumble across on the web? 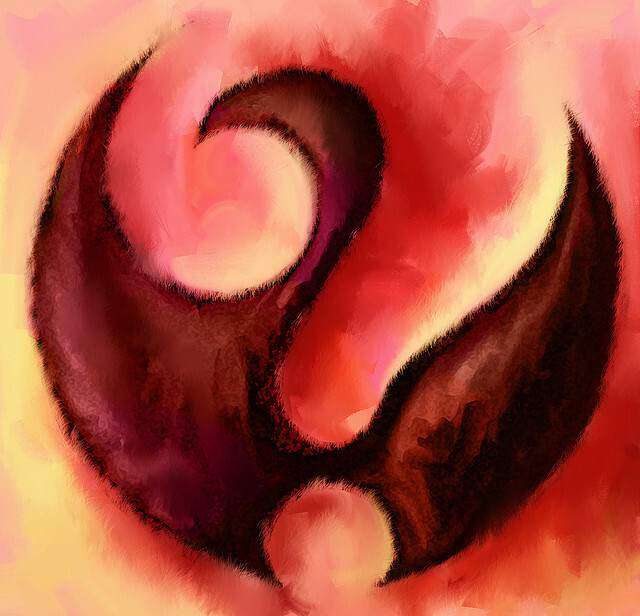 When I started this blog 2-1/2 years ago it initially served as an experiment. I wanted to see what kind of time and effort it took to produce a blog so I would know what I was getting into if I launched one at work (which is why we still haven’t launched one at work—I now know the beast must be fed!). I kept it up—no idea why since I’m pretty sure even my daughters weren’t reading it, and Mom doesn’t have a computer and couldn’t use it if she did—and over time started seeing comments and getting clickthroughs on links I shared via Twitter and Facebook. My stats are teensy but you are out there. I’m just thinking out loud here about what value I add in your life and why I should keep it up if you’re just clicking “mark all as read” and moving on. It’s a discouraging thought. I’d better go read some of those blog posts. Tell me, please: Why do you read this blog? Stay with me, people—this makes total sense. Look at the label you will find on many an electric hand dryer in the rest stops of our nation’s highways. Now indulge me in a little creative copy editing. Dryers Bikes help protect the environment. 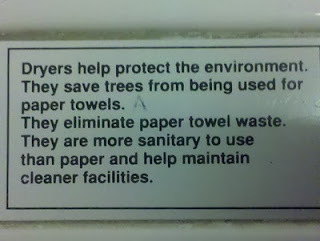 They save trees from being used for paper towels foreign oil imports from being used for fuel. They eliminate paper towel waste vehicle emissions, wear and tear on roads, competition for parking, and a growing epidemic of obesity, heart disease, and Type 2 diabetes. 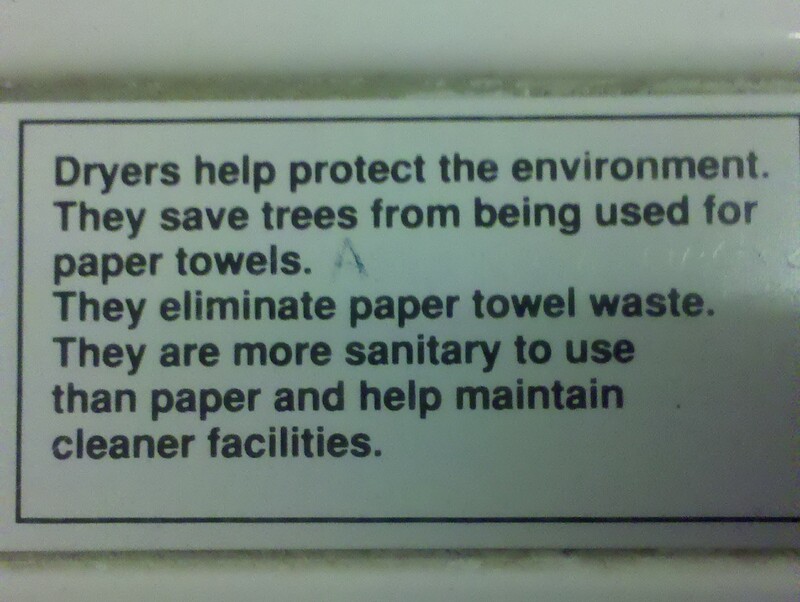 They are more sanitary cheaper to use than paper cars and help maintain cleaner facilities air and better roads. So how do we get this posted in places where you can’t avoid reading the same message over and over? Are you with me, World Dryer Corporation? I had an epiphany about cycling—while I was driving. Maybe because I don’t drive very often any more, choosing to take Spokane Transit to work if it’s too snowy for my skinny road tires, I’m more conscious of the actual act of driving. Or maybe I’m more conscious thanks to cycling itself. Behind the wheel I’m far more aware than I used to be, back when I drove-drove-drove everywhere, that there might be a cyclist about to come around the corner, or a pedestrian stepping into the crosswalk at the intersection of two one-way streets where most drivers will look only for other vehicles, not for walkers and pedalers. At any rate, my aha moment was this: Roads require an enormous amount of trust. Think about every four-way uncontrolled stop in the city. You trust that everyone remembers to yield to the guy on the right, and that they’re actually looking and able to see you there. Think about every signal, for that matter. You trust that you can proceed into the intersection when the light turns green, because those other people will pay attention to the red light and stop. (There’s no trust involved in yellow lights, though, because in Spokane those mean “accelerate through the intersection!”). When we walk, we have to trust that drivers and cyclists will observe pedestrian right-of-way laws. When this trust is violated, we feel outrage, as drivers, as cyclists, as pedestrians. This post first appeared on the Cycling Spokane blog. I got to thinking about it the other day and thought it was worth recycling. More to come on my trust issues. Joyride author Mia Birk titled a recent blog post “The Bikeway Network Recipe.” She describes several communities, all of which took different routes to achieve increased levels of bike infrastructure and bike use. I’d like to extend the recipe analogy a little more. I make a lot of soup because it’s easy to include lots and lots of veggies and healthy grains and beans, it helps me use up leftovers although I can also just start from scratch, it freezes well for lunches, and my whole family is crazy about soup, although of course each person has his or her favorite. I generally just start with whatever I have on hand. That could be leftovers or it could be a trip to pantry and freezer and a little cooking to prep some kind of grain/protein ingredient such as quinoa, rice or barley. In thinking about Spokane’s recipe for bike infrastructure I conclude that we are making soup. Starting with what we have on hand: This is where every improvisational recipe bike network has to start. Including healthy ingredients: That’s kind of a no-brainer when you’re talking about riding a bike. Using up leftovers: In a manner of speaking, yes. People on bikes often get the leftovers: the bit of shoulder the driver doesn’t occupy (that day. You hope.). This is also true in the positive sense of the word. Out of some “leftover” asphalt and paint you can create something wonderful by giving someone on a bike a travel lane. The cost of adding bike infrastructure elements to a street project is mere pennies on the dollar, in return for which you get transportation that doesn’t create any wear and tear on the roads. 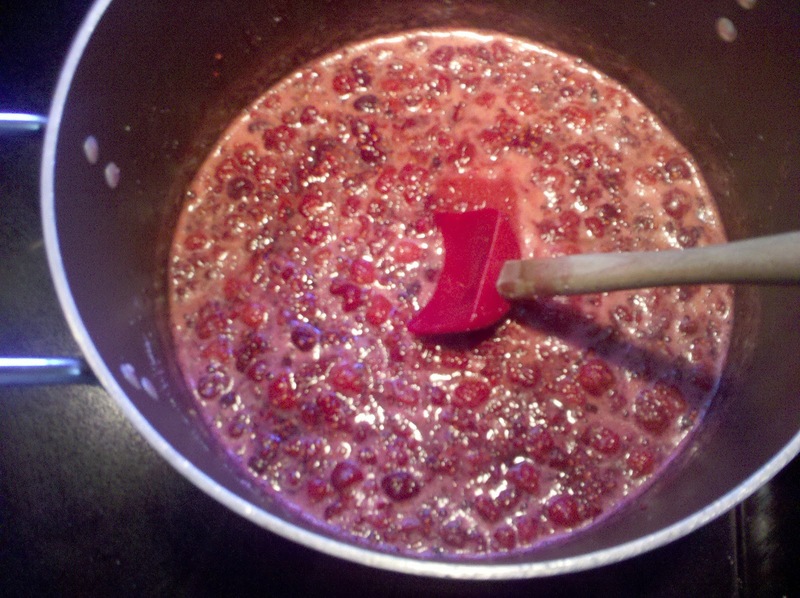 To me this is the strongest parallel to the soup-making process. A magical transformation takes place when you chop up onions, potatoes, and other vegetables, choose some seasonings from the spice drawer, and throw in some leftover rice. Out of elements that others might not have thought of in quite this way you have created something wonderful that people appreciate. But it doesn't happen if you don't start, and it doesn't happen without any ingredients. Starting from scratch: We need to do this too. In the case of something like the Centennial Trail or the Fish Lake Trail, people had the vision and put together the ingredients to create a new treat for everyone. Creating something useful both in the short term and in the long run (like the leftovers that remain after a good dinner): Absolutely. In the short term we are piecing together individual stretches of bike lanes and other markings and signage that in the long run will come together in a connected network that provides access across the city. When you’re in mid-soup sometimes it doesn’t taste like much. In similar fashion the appearance of short stretches of bike lanes in downtown might not appear to represent a huge step forward—it doesn’t take us all the way from raw veggies to soup. But given time those stretches of bike lane will get connected. The important thing is to remember the goal and stay focused on making soup. Sometimes you don’t have quite the right mix of ingredients and you need to add a little balsamic vinegar or garlic (always garlic). 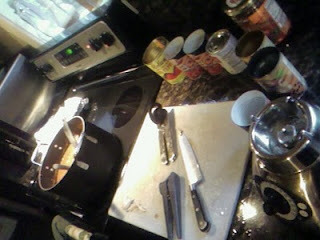 The way the soup changes as the ingredients come together draws on a cook’s skills to keep adapting along the way. Making different kinds of soup for different people: This will be essential to the long-term growth of bike riding in Spokane. We are not a one-soup-fits-all town. The “fast and fearless”—those of us who know how to take the lane and who will assert our right to use the road for transportation—get out and ride with only minimal ingredients at hand. The “interested but concerned” need the support of a more fully detailed recipe that takes into account their allergies (say, to close encounters with careless drivers) and special dietary needs (wayfinding, for example, to encourage the use of bikes on the short trips of 1-2 miles that constitute the majority of U.S. transportation trips). The “no way no how” people just don’t like soup. But that’s no reason the rest of us can’t have our soup and ride it too. 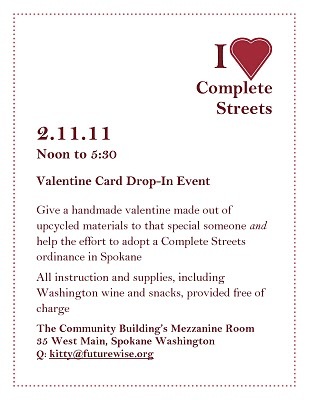 Futurewise of Spokane is hosting a Complete Streets Valentine Drop-In Event at the Community Building in Spokane on Friday, February 11, 2011 between 12:30 and 5:30PM. The invitation appears here. Please help by posting the invitation on your blog and/or calendar and help further the effort of a Complete Streets ordinance in Spokane by rallying all your readers together to support this great cause. If you have any questions please contact Sarah Sirott, sarahwilson1@comcast.net, or Kitty Klitzke, Kitty@futurewise.org. Why Should Spokane Settle for Incomplete Streets? Anyone who went through 4-H, as I did, will probably start quietly reciting the pledge upon seeing those four words. I pledge my head to clearer thinking, my heart to greater loyalty, my hands to larger service, and my health to better living for my club, my community, my country and my world. Here’s a radical notion for you—what if we made that our second “Pledge of Allegiance”* for the nation? Look at what it does. 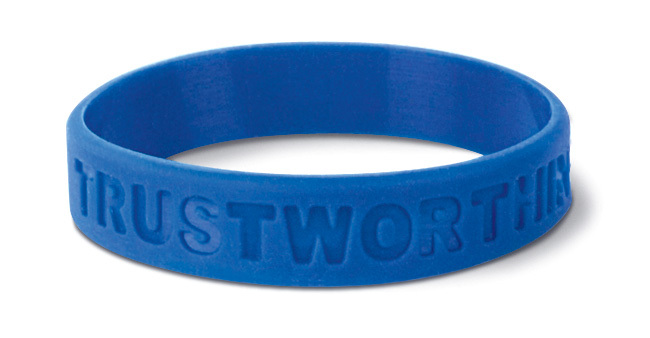 It speaks to good habits, values, community, and a broad vision. It calls on us both to give back and to pay it forward. It rests on an inclusive view of community, spiraling outward from people you see every day to people you will never see, and asks you to live in service to all of us. It unites rather than divides and does not ask you to give up or to reject any other belief system. It sums up an ethos of leadership, citizenship, thought, and health. It even provides a handy mnemonic to help you memorize it. To top it off, the 4-H motto is a simple call to action that could equally come straight out of a book on quality management or one on what great leaders inspire people to accomplish: To make the best better. 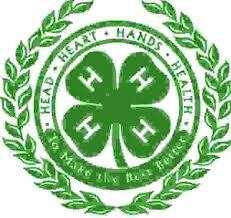 Thank you, 4-H Club of the Tammany School District in Lewiston, Idaho. *Don’t get me wrong—this isn’t an anti-Pledge of Allegiance rant, although giving our allegiance first to the flag and only then to our actual nation harks back to anti-immigrant and Confederate-era issues I would hope we can lay to rest at some point. I will offer up one small edit for your consideration, however. The original version read, "I pledge allegiance to my Flag and the Republic for which it stands, one nation indivisible, with liberty and justice for all." I guess those godless Communists were somehow incapable of lying and if you caught someone skipping that phrase you could just slap on the cuffs and haul him off to Joe McCarthy’s committee. Of course, people with quite sincere beliefs in God, particularly Jehovah's Witnesses, don't take this oath at all since it violates their religious beliefs. If instead you say “one nation, under law,” you are referring to something we all have in common—the rule of law—rather than something that can be incredibly divisive: what you do or do not believe about God and government. Worth considering. Since I spent four years in the Idaho state legislature and now handle government relations as part of my job I’ve had the opportunity to meet many wonderful public servants: Idaho Gov. Cecil Andrus, Washington Gov. Chris Gregoire, US Senators Patty Murray and Maria Cantwell, Washington Senate Majority Leader Lisa Brown, and many others. A few encounters stand out. 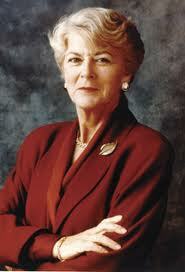 Geraldine Ferraro’s hand: As in, I got to shake her hand when she was the Democratic candidate for vice president in 1984. I was a volunteer on Booth Gardner’s run for governor that year (which he won). Booth’s volunteers helped organize things when she came to Spokane on a campaign stop. We all had to submit our Social Security numbers for a security check, which I thought was very cool. After a long, exhausting whirlwind event that’s all a blur in my memory now, the volunteers lined up. She worked the line, giving each of us the barest tips of her fingers. I didn’t think it was much of a handshake for a politician, but somebody fortunately explained to me that by that time (probably 10 p.m.), her hand must have been absolutely raw from all the hands she’d had to shake. Meeting Steve Symms. It was 1990. I was all of 27 years old and I was running for the Idaho State House of Representatives. 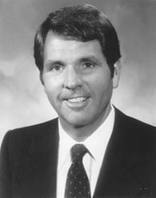 Symms was in his second term as US Senator for Idaho and he came to North Idaho College for some event. Afterward I went up to shake his hand and told him a story. He smiled. I finished my story. Boy, was I ever a smart-aleck. Bill Sali and the wool suit. I entered the Idaho State House of Representatives with the 1990 election, at the same time as Bill Sali of Kuna. We were poles apart, as we quickly came to discover through some protracted and probably painful-to-observe ideological debates. A new mom, I had discovered that Idaho’s child care licensing standards included absolutely nothing about first aid/CPR training. A bill on the Senate side sought to remedy this and to lower the number of children one provider could care for. The ratio was then at 12:1, meaning one provider could watch 12 children of any age. As I described it to people, this meant that when the fire alarm went off, the provider was supposed to tuck six babies under each arm and sprint for the exit. I sponsored a similar measure on the House side, tackling only the first aid/CPR issue, and took my new baby Katie to the committee hearing. She would have been all of about three months old, since she was born six days after I was elected on my 28th birthday. No one was tracking ER visits from child care facilities that might be prevented if child care providers knew first aid. I had done my best to tackle the statistical analysis, putting together the number of slots in licensed facilities and the ER visits for preschool-aged children in Ada County, then extrapolating based on population percentages. As I stood there wearing my favorite electric blue wool suit, jiggling Katie in my arms, I went through my rationale and the numbers. The committee grilled me for some time. Temperature and humidity rose inside the suit. In most cases the answer is a pretty definitive no. In this case, I told the committee, the answer might well be yes, and as a mother, I wasn’t willing to let that stand. “How many does it take? !” I snapped back. Committee chair Rex Hansen, a wonderful moderate Republican from Idaho Falls, called a halt at that point. The bill was held in committee on an 8-7 vote. Chairman Hansen voted for it. Rep. Sali voted against it. I cried in the bathroom (it was my first bill) and vowed never again to wear a wool suit to present a bill. Sali ultimately went on to represent the First District of Idaho in Congress for one term 2006-2008, where he introduced a bill to repeal the law of gravity. 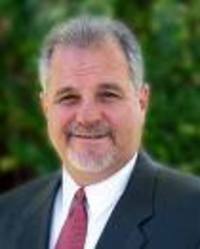 He became the first incumbent Idaho Republican to lose his congressional re-election bid since 1952. I and other advocates for improved standards in state-licensed child care facilities didn't give up; the requirement for first-aid/CPR training passed successfully when I served in the Senate and is still in the rules today. The ratio is still 12:1. Driver #1, you drove a metallic tan/gold sedan heading eastbound Wednesday, Feb. 2, at around 3:10 p.m. on 4th Avenue right in front of Lewis & Clark High School (a school zone, FYI). I was on the bike approaching the stop light. That would be the bike with the lights on front, back, wheels, and helmet. I had taken the lane in the right tire track position. I know you saw me because you crossed the center line when you swerved around me. The light turned green when I was about ten or fifteen yards from the intersection. When you came out of nowhere to pass me and whip that right turn in front of me to go south up Stevens? We call that a right hook and it is often a deadly encounter for the person on the bike. Driver #2, I couldn't see what you were driving. You were heading south up Southeast Boulevard at around 4:30 p.m.
At what I've come to recognize as a critical decision point in front of Mosaic Salon, you very politely hung back and let me continue uphill in the bike lane before making your right turn onto 14th. I waved my thank-you. Keep up the good work. We need more drivers like you.